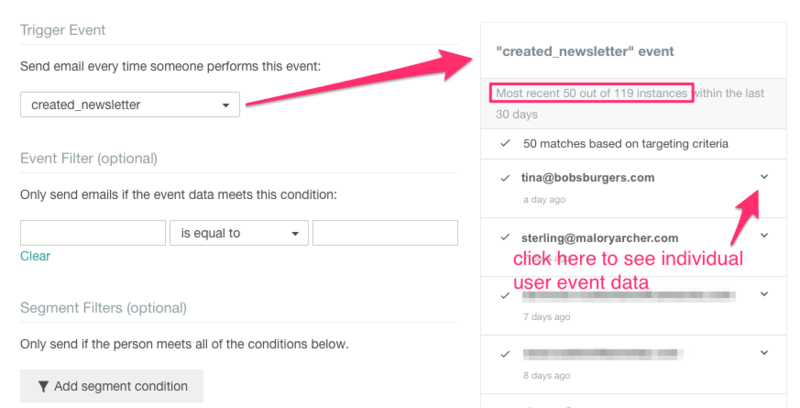 When creating an event-triggered campaigns, you might notice a new preview of your event: You’re now able to view the 50 most recent event matches within a 30 day window for a selected event. This increases confidence that the event trigger you want is “password-reset”, not “password_reset.” Event triggered emails let you get even more specific with “filters”. 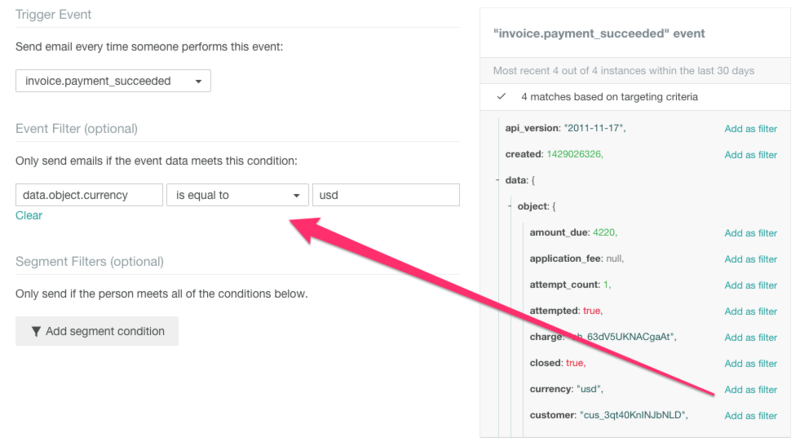 The preview will show you which events match your filter, and give you quick access to pick some event data to filter by. Give it a try and let us know what you think! Leave a comment here or email us at win@customer.io!